CONGRATULATIONS ON OUR RECENT AND GREAT VICTORY. Spartacus Soccer Club, one of the top soccer clubs in Ontario, has pulled off an historic final win to cap off an historic season for the Club and the provincial soccer scene. The Under 17 Spartacus boys team went completely undefeated all season, defeating Woodbridge Strikers 2-1 Sunday (October 4) to claim the Ontario Youth Soccer League championship. Five players on this championship team, coached by former Russian pro Alex Sikov for the past six years, have been offered full athletic scholarships to US universities. 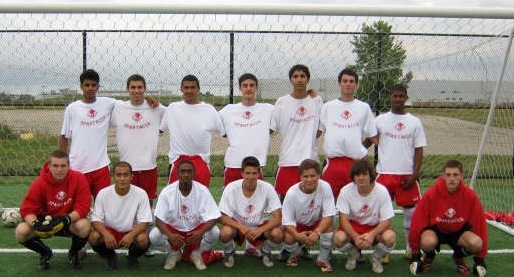 Sikov has seen this remarkable team through several championships, as well as an Ontario Cup title in 2003. Spartacus went down 1-0 early in the match to Woodbridge, but quickly bounced back with a powerful equalizer by Kaine Moar. Long-time captain and team playmaker Joseph Dichiara scored the powerful header, with ten minutes remaining, that would ultimately prove the winner. 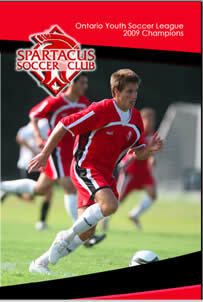 Spartacus Soccer Club is headed by Yuri Studin, a fixture on the Ontario soccer scene since the early 1980s. Studin, who built the club from scratch in the early 1990s, has from the creation of the club stressed bona fide professionalism in coaching—hiring only former elite and professional players as coaches—and skilled play as the foundation of the Club’s identity. Spartacus alumni have gone on to play professional soccer and to populate top university programmes in Canada and the US. The Club boasts a reputation for top-notch player development and emphasis on hard work and respect for the complexities of the world’s game.